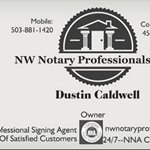 NW Notary Professionals. Is a full service professional signing company located in Salem Oregon, We serve the entire state of Oregon with 24/7 availability and a focus on getting things done right the first time. 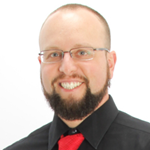 Dustin Caldwell has completed 1000's of signings over the last 8+ years and takes pride in providing the highest level of professionalism possible. 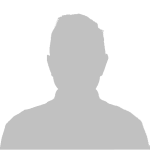 He has worked directly with 1000's of national lenders and title companies and has established business relationships with the majority of local lenders and escrow officers. He also has access to a network of Spanish speaking translators and can use one of them to complete Spanish docs. Please call us today and let us know what you need! Thousands of professional signings completed since 2006, let me help you close another file today! 100% Satisfaction Guarantee!